A lot of very committed people contribute to the success of a company. People who stand behind the idea; people who bring their expertise; people who want to ensure that you are 100 % satisfied. Tanja studied German and History and worked as an Internet project manager for large international corporations. She has been passionate about horses and riding since she was a child. 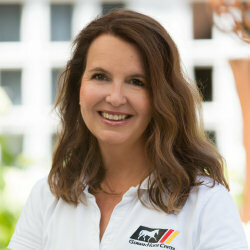 In 2008 she and Stefan founded GHC with the aim of establishing a platform for international customers that combines a high-quality range of horses with excellent customer service. Tanja's responsibilities include organizing horse photo/video shoot appointments, supporting customers as well as global marketing. 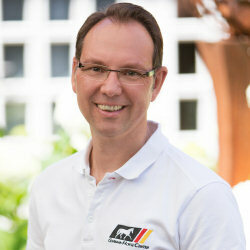 Stefan graduated as a social-economist and is also qualified in direct marketing. He has worked as a marketing consultant at advertising agencies and large corporations. Since the foundation of GHC he has been providing support for customers looking for horses, organizing horse tours and ensuring an uncomplicated and seamless sales process. He is also the main contact for the GHC partner stables. Franziska has been a personal tour guide since 2014 and customers really appreciate her reliability, friendliness and service-orientated approach. She worked for one year in USA and owns two horses. She studied veterinarian science and is currently working on her doctoral thesis. Vanessa combines her love of equestrian sports with her passion for photography. She takes photos for the website that highlight the best of horses and trainers.